If It's Too Loud...: The Pull of Autumn - "Laurasong"
2018 is turning out to be a very busy year for Fred Abong. A founding member of Throwing Muses, he recently released his solo debut. Turns out he's also been working on a new project, The Pull of Autumn. The new band also features members of British New Wave band Fashion and fellow Rhode Island band Johanna's House of Glamour. Right now we can check out their first song, "Laurasong." "Laurasong" is much quieter than early Throwing Muses. It's a very chill, fairly atmospheric song. It manages to be a beautiful, mellow song without being easy listening. It has some elements of New Wave and a little touch of some of the odd tunings of Throwing Muses, but it isn't obviously from either world. Years ago this might be considered "adult contemporary," but in the good way. You can listen to "Laurasong" below. 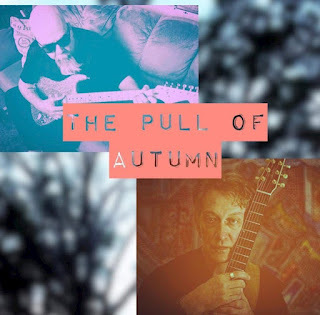 The Pull of Autumn's self titled debut will be out August 24 on RBM Records. It can be pre-ordered via Bandcamp. For more on The Pull of Autumn, check out RBM Records's Facebook and Twitter.